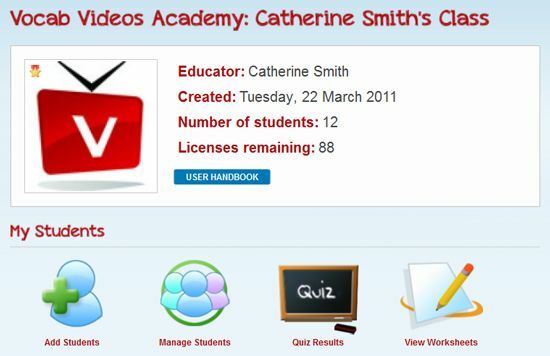 As part of The Schoolhouse Review Crew, I received a one year subscription to Vocab Videos. Vocab Videos is a website that was developed by experienced educators looking for a better way to teach vocabulary. The website includes memorable videos—featuring 500 key SAT vocabulary words—and other learning tools to offer a very effective vocabulary learning solution that students love. Vocab Videos was developed by a team of SAT and standardized test experts and produced using professional actors and comedians. The Vocab Videos are entertaining as well as educational. My students thought some of them were funny and others just left them staring at the screen. The videos also include parodies of several popular TV shows (such as Lost, The Office, 24, and Gossip Girl). I can’t speak to those, as we don’t watch those TV shows. The website is a secular site, not Christian, so there are scenes that depict dating, as well as using words such as “shut up” and “oh my God”. Since the target audience of Vocab Videos is 9-12th grades, there is nothing that they wouldn’t see or hear when around other kids their age. I watched some of the videos while my students were working on them, and I didn’t see anything offensive. My students would have reported anything offensive to me when I wasn’t watching, and I received no reports. View some sample videos to get an idea of what they are like and see if they will work for your family. The videos are organized into episodes of 20 words, with each episode being approximately 10 minutes long. Each video starts with showing the vocabulary word and it’s definition. A voice over reads the definition and gives the proper pronunciation of the word. The vocabulary word is then illustrated in the video which is about 30 seconds long. A voice over of a sentence using the word or a repeat of the definition concludes each video. There are also worksheets that the student fills out online giving the definition and using each word in a sentence. The student finishes each group of 20 words by taking an online quiz. 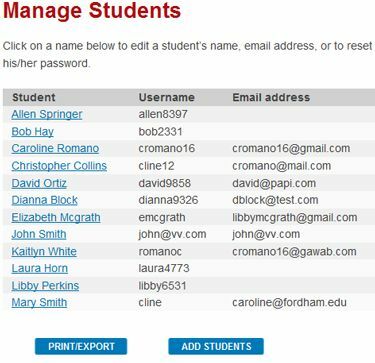 It’s also very easy to manage your students. I only have two high schoolers, so my list is much shorter than the one in the picture. The Small Educator Account lets you use the program with up to 20 students. 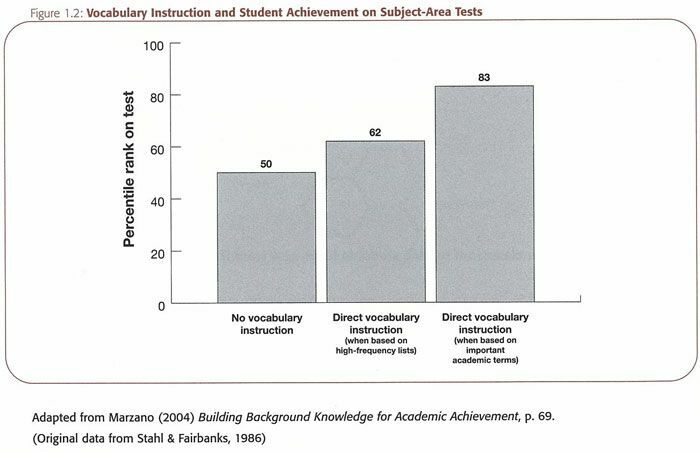 The graph below shows Vocabulary Instruction and Student Achievement on Subject Area Tests. Programs such as Vocab Videos can raise student scores on these tests. If your students are going to college, these scores are important. Overall, I think Vocab Videos is an effective way to teach vocabulary. I will be continuing to use Vocab Videos for the rest of this school year with my two high schoolers. Vocab Videos says it is also appropriate for 6-8th graders. I also happen to have a 6th AND an 8th grader this year. So I will be introducing them to Vocab Videos before this school year is over. Vocab Videos Student Accounts are $24.99 for a 6 month subscription and $39.99 for a 12 month subscription. Vocab Videos also has Educator Accounts. You can get a Free One Month Educator Trial. This would be great for determining if Vocab Videos is a good fit for your homeschool. 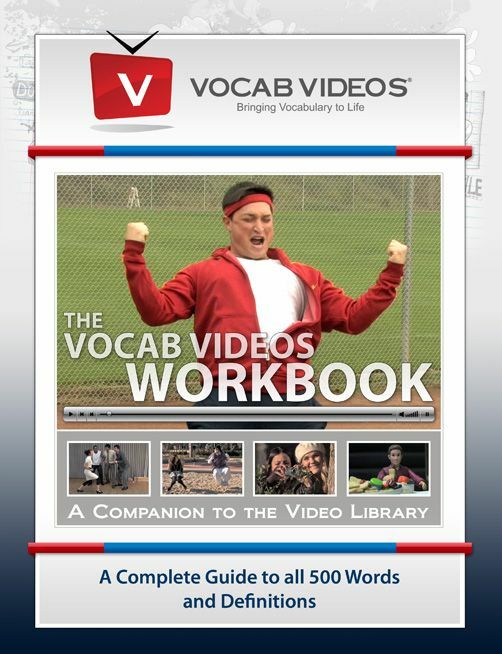 A separate Vocab Videos Workbook is available for purchase for $11, if you think your student will need extra practice with the vocabulary words. 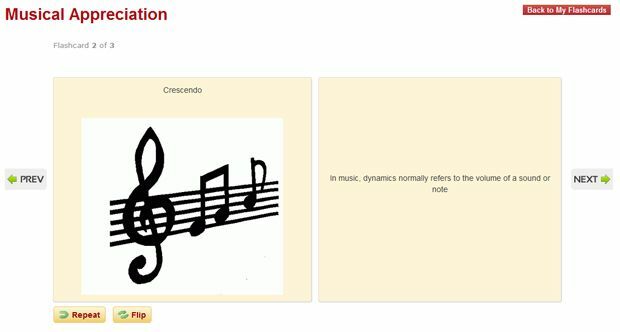 It contains flashcards, definition lists and more. That looks like a great service. I appreciate the honest review too – you made some great points! This would definitely be helpful for a teacher or parent that is trying to help their kids improve. Amber Edwards recently posted..Really? There are Fun Things To Do in Utah?